Valve amps might not be around forever… but do we really need them anyway? Once, there was a war between good and evil. On the good side were the valve amps: heavy, expensive and sometimes unreliable, but with the pure tone of rock ‘n’ roll. On the evil side were the solid-state impostors, lighter and cheaper but stereotypically harsh and sterile in sound. Digital modelling amps muddied things a little by being one cleverly disguised as the other, but if you were any sort of tonehound you always knew which side you were on. Well, you did until now. There are some distinguished engineers who think we’ve had it wrong all these years – that it’s not the valves themselves that make tube amps sound so good, but the way the circuits are designed around them – and Stewart Ward is one of them. Back in the 80s, his Sessionette 75 was one of the few transistor amps that some people actually liked, and now he’s back in the game with a much advanced design known as the BluesBaby. 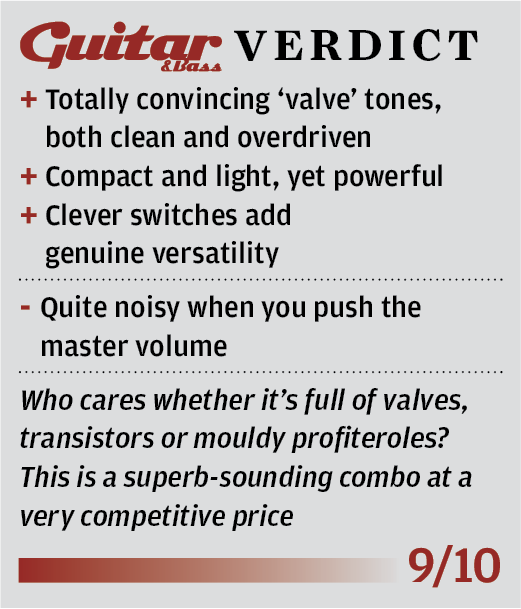 This simple 1×12 combo wouldn’t know where to hide if a valve knocked on its front door, and yet – spoiler alert for the rest of the review – it sounds rather brilliant. The BluesBaby is Ward’s valve-free attempt to recreate the sound of the Fender Blues Junior, a target chosen because of its status as a compact and affordable modern classic. 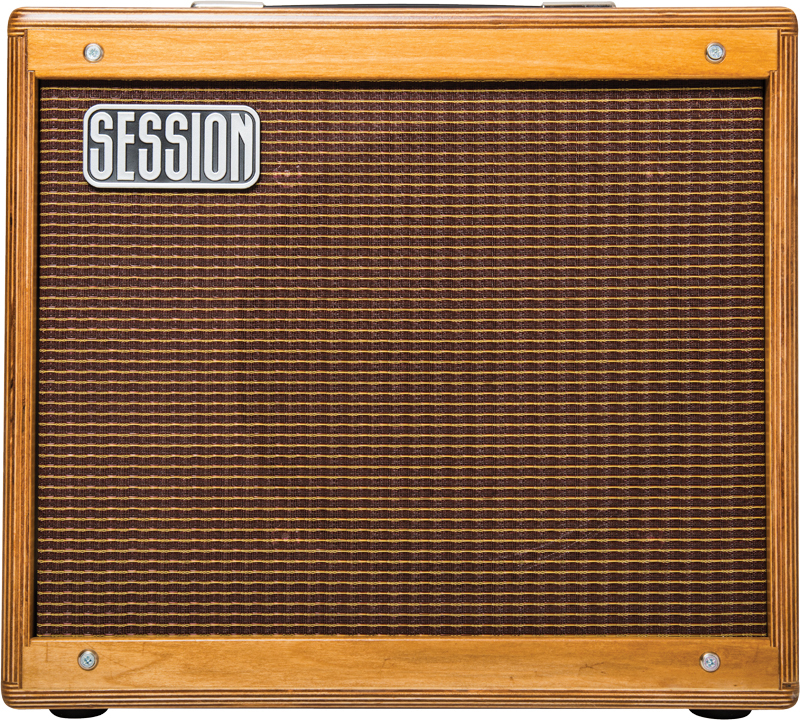 It’s slightly cheaper than a Blues Junior, and also lighter despite its similar dimensions, but a rating of 22 watts means it should be able to compete for raw volume. How can it compete for tone, though? Well, it’s all about the power amp. This is an LM3886 integrated circuit, capable of generating up to 68 watts but restricted to 22 here for cool-running reliability, and with a limiter to avoid nasty distortion. But the most important difference from the old Sessionette 75, we’re told, is the use of `constant current’ drive to ensure consistent power through the speaker at all frequencies… just like you get from the output transformer in a valve amp. This is not a new technology, but it is new to Session – read the interview over the page for Ward’s explanation of why it’s so important. 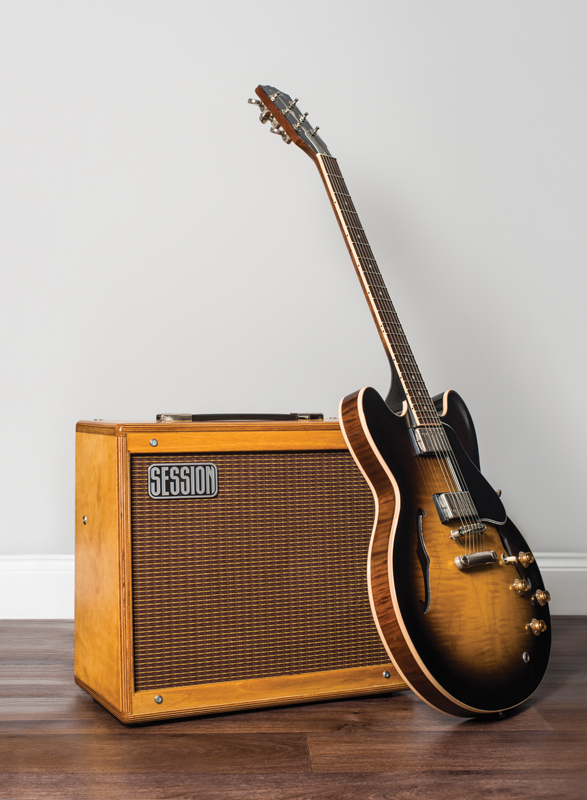 Made in the UK, the BluesBaby comes with a range of finish and speaker options; ours has the `antique’ lacquered cabinet with oxblood grille, a £30 upgrade and the standard Celestion G12 V-Type speaker. Rated at 70 watts, this is an all-rounder described (not terribly helpfully) by Celestion as `modern vintage’; you can specify various other G12s for up to £79 more. Reverb is standard, and comes courtesy of a nine-inch Accutronics tank tucked into the bottom of the cabinet. That bare lacquered plywood reminds me of some of my dad’s DIY projects, but if you don’t have such associations then it is a smart look, combining a subtle shine with something like the golden warmth of aged tweed. White chickenheads on a black control panel do the job in timeless yet practical style, and but for one shaky screw our review amp was put together immaculately. The reason it’s so very light becomes apparent once you’ve unscrewed the back panel for a look inside the chassis… and seen the huge space where a valve amp’s output transformer would be. There is a toroidal mains transformer, a small circuit board for the preamp and an even smaller one hosting that power amp chip, but not much else. You could play tennis in there. 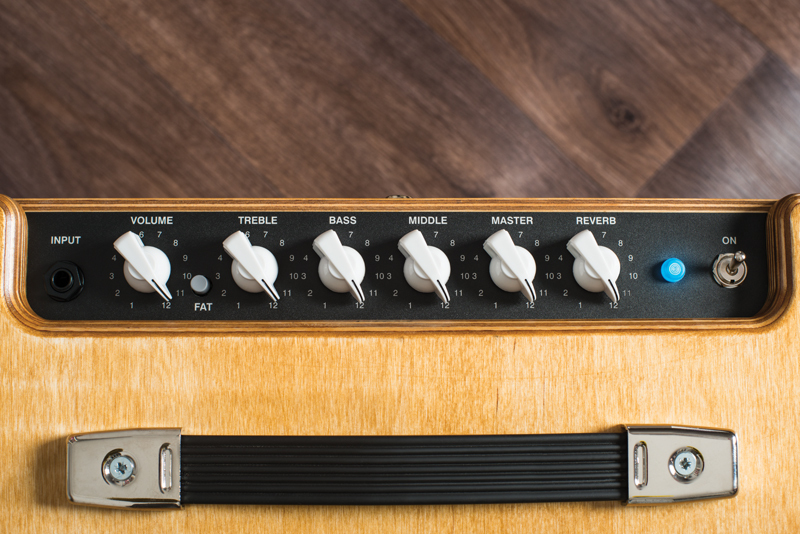 The layout of the top panel follows the template of the Blues Junior: preamp volume with a `fat’ button, three-band EQ section, master volume and reverb. But on the underside of the chassis you’ll also find a couple of sneaky toggle switches: one for a presence boost, and one labelled `blackface’ that shifts the focus of the mids control for a 1950s-to-60s character tweak. 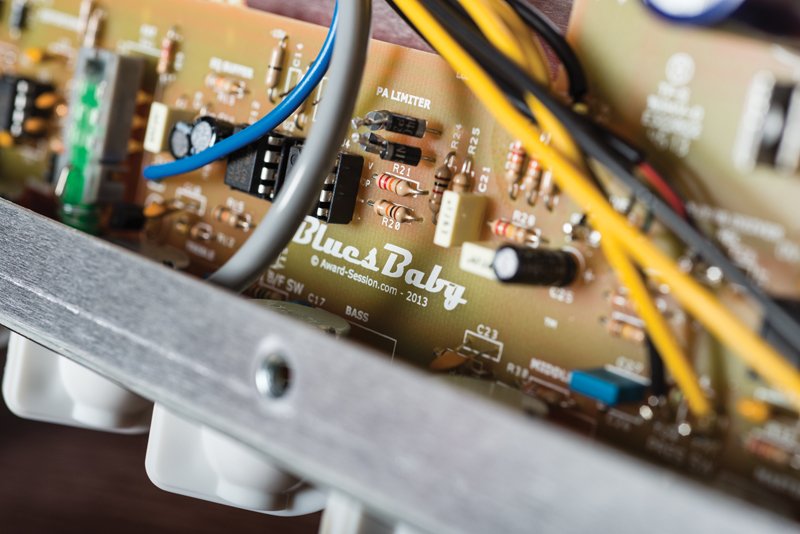 The BluesBaby pops instantly to life – no valves to warm up, of course – and it becomes immediately apparent that what we’re dealing with here is a `real’ amp. With the reverb off and all the other controls at noon it’s a big sound, balanced perfectly, and quite crunchy even with fairly low-output single coils. There’s an element of boxiness, as you might expect from such a compact combo, but turn the mids down to around 3 and it gets surprisingly glassy. The break-up is totally sweet and natural. 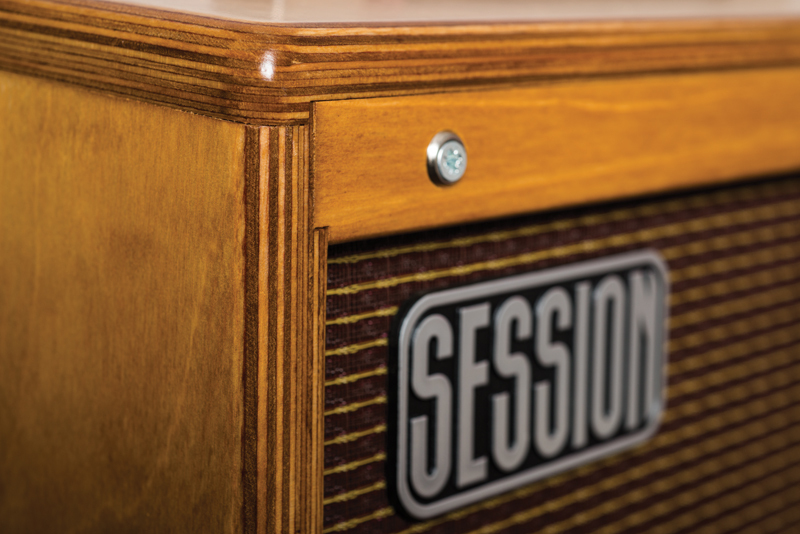 Pulling the preamp volume down a bit gives us American-style cleans that will compete with a Blues Junior any day. It can sound a little flat with the master volume below 5, and hissy with it pushed past 8 or 9, but there’s a fat slice of `just right’ in the middle. And speaking of fat… that little button adds a whopping thump of controlled power to the low end. Your skinny single coils will leap up and kiss you with gratitude. The two switches round the back, while not quite so dramatic in effect, are every bit as useful. Engaging presence adds a sweet click to your note attack – perfect for a Les Paul, don’t let it anywhere near a Jaguar – and the blackface switch takes out some lower-mid clonk for a purer, leaner tone. 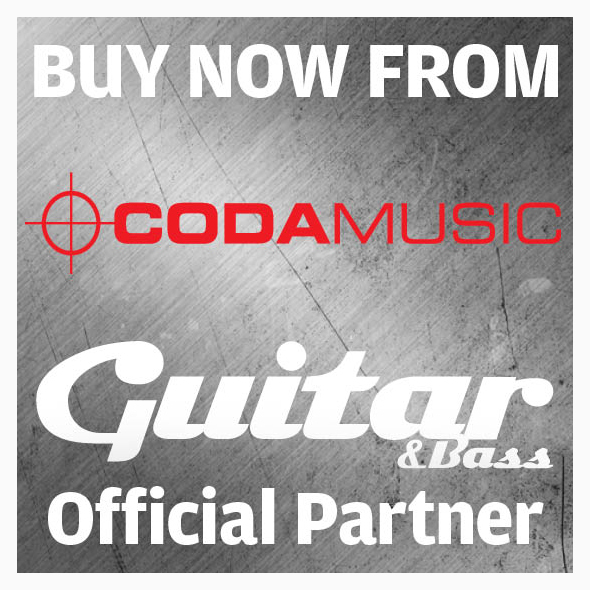 Between these controls and the three-band tonestack, you won’t struggle to get the best out of just about any guitar. So, we started with the preamp at halfway and then turned it down… what happens if we turn it up? Is this where the non-valve pretender comes unstuck? Erm, no. The fact that a solid-state preamp can produce smooth and organic-sounding distortion shouldn’t come as a shock – it’s what many of our favourite stompboxes do for a living, after all – but there’s nothing like the creamy and responsive overdrive of a cooking amp, and that’s exactly what the BluesBaby delivers. It’s totally addictive and totally tweed. The spring reverb sounds immense and you can make it do that `pi-choinnggg’ noise by rocking the amp on its back feet and letting it fall, a trick that’s beyond the powers of any digital emulation – plus there are a couple of handy footswitch inputs on the back that add to this combo’s gigging versatility: one for the reverb and one for the fat switch. You’ll still need an overdrive pedal for proper clean/dirty switching, though. Q. What’s the story behind the BluesBaby? Q. 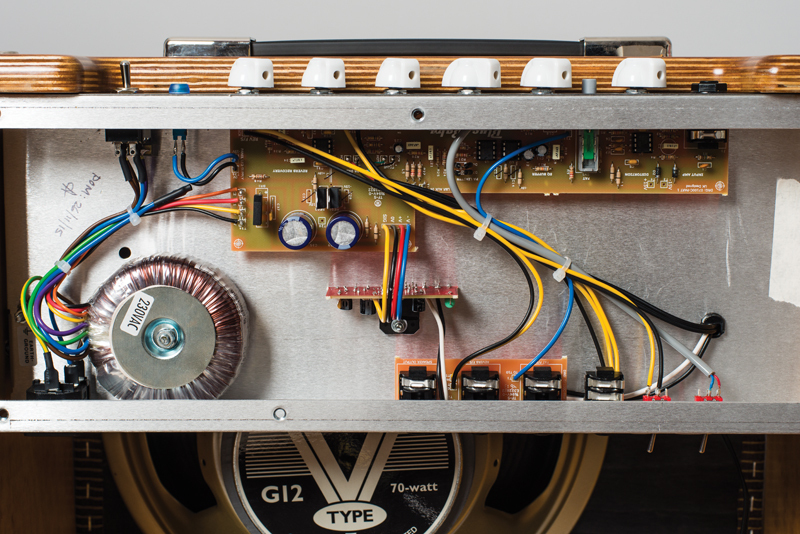 What is constant current speaker drive, and why is it so important to what you’re doing now? Q. Do you think amps like this, and digital modelling, will eventually lead to valve amps becoming extinct? Q. And if it does go well? Are there any plans for bigger models? 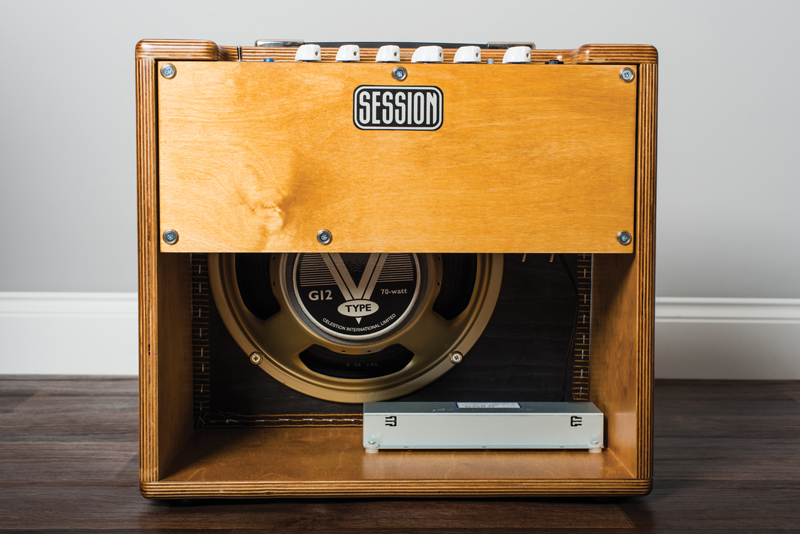 “I do recognise the need for a 40-to-50-watt model – something with enough welly to play clean and enough grunt to make the basis of a good amp for pedals. There’s even a little scope for my interpretation of some well-known British amps… maybe! 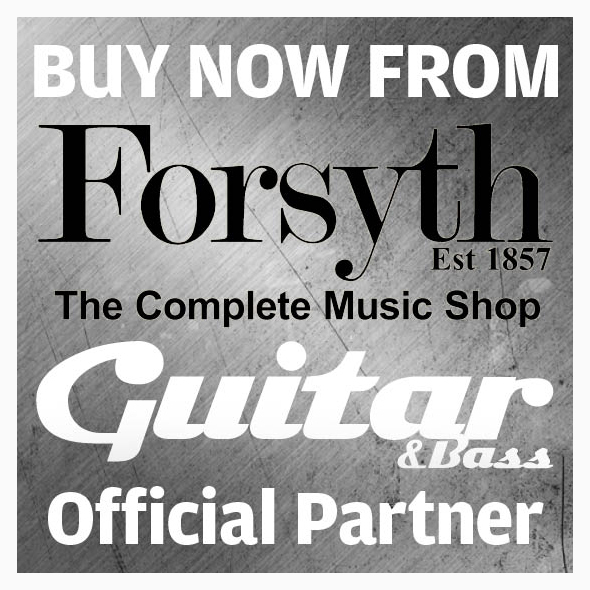 I think the market is bereft of decent-quality basic amps that do what they say on the tin at a reasonable price.